Hey Verizon, you do know that your flagship and completely exclusive DROID Turbo is still running on Android 4.4, right? Right? That being the case, does it seem a little odd that the cheapest of the Moto line, the Moto E, which is only sold to pre-paid Verizon customers, now runs the latest version of Android? No? Well OK, then. 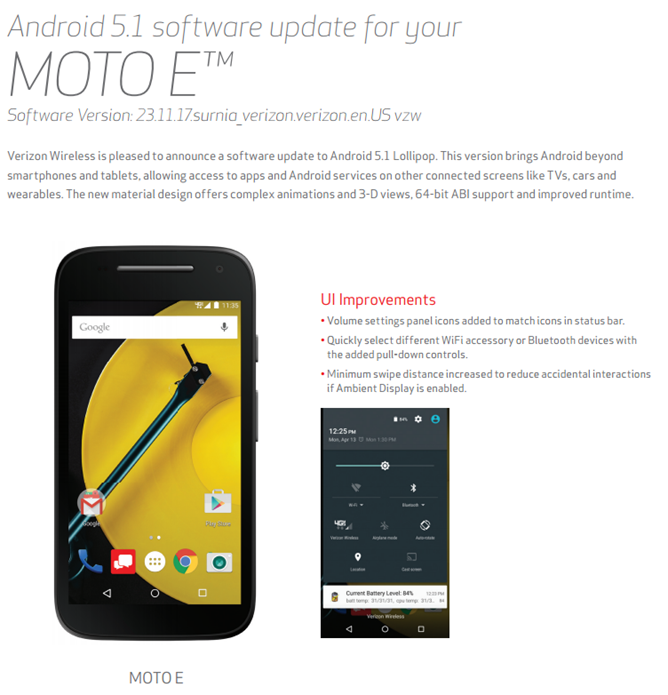 If you have the second-gen version of the Moto E, expect an update sometime in the next few days. 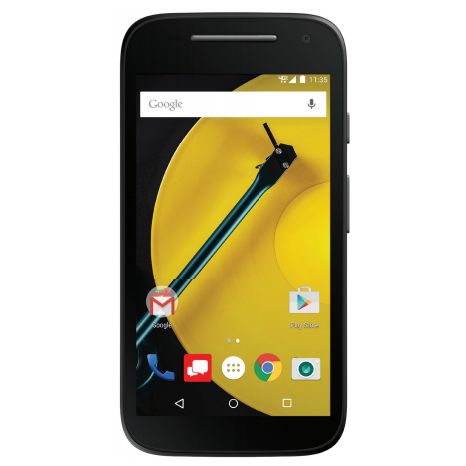 If you have a DROID Turbo, buy a Moto E.
Verizon's notes on Lollipop 5.1 don't mention anything out of the ordinary for the update, which shouldn't surprise you, since Motorola's cheaper phones run a version of Android that's almost completely stock. The ROM version is 23.11.17.surnia_verizon.verizon.en.US vzw, but unfortunately Verizon's documentation doesn't say how big the download is. Presumably if you're on a pre-paid connection, you'll probably want to head for a Wi-Fi area once you see the update message. As always, Verizon's rollout tendencies mean that it might be up to a week before the over-the-air file makes it to your specific phone, and any modifications made to Android 5.0 will cause the update flash to fail. Try not to rub it in for your friends who have DROID-branded devices.